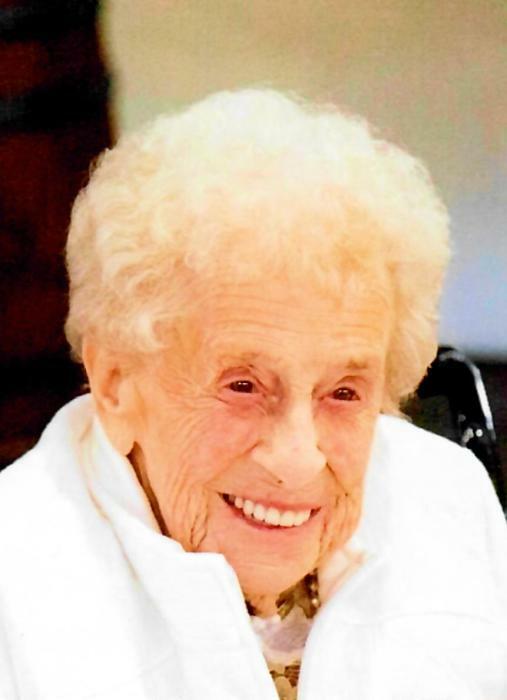 Alice S. Shippee, 92, of Fieldstone Drive, Coventry, RI, passed away on Monday, March 25, 2019 at Scandinavian Home, Cranston, RI. Born on December 9, 1926 in Providence, RI, she was the wife of the late Earl R. Shippee, Jr. and the daughter of the late George B. and Nellie (Potter) Johnson. Alice worked as an assembler for Bulova Watch Company, Providence, RI, for thirty years until retiring in 1989. Alice is survived by five children; Edith Courtemanche and her husband Paul, Earl G. Shippee and his wife Joanne, Harold Shippee and his wife Denise, Donna Collins and her husband Otis and Helen Jacques and her husband Ben (Kenneth), fifteen grand children, thirteen great grand children and five great, great grand children. She was predeceased by a sister; Dorothy Johnson. A funeral service will be held on Friday, March 29, 2019 at 11:00 am in the Gorton-Menard Funeral Home & Crematory, 721 Washington Street, Coventry, RI. Calling hours will be held prior from 9:00 to 11:00 am. Burial will be in the St. Ann Cemetery, Cranston, RI. In lieu of flowers donations in her memory can be made to the RISPCA, 186 Amaral Street, Riverside, RI 02915 would be greatly appreciated.